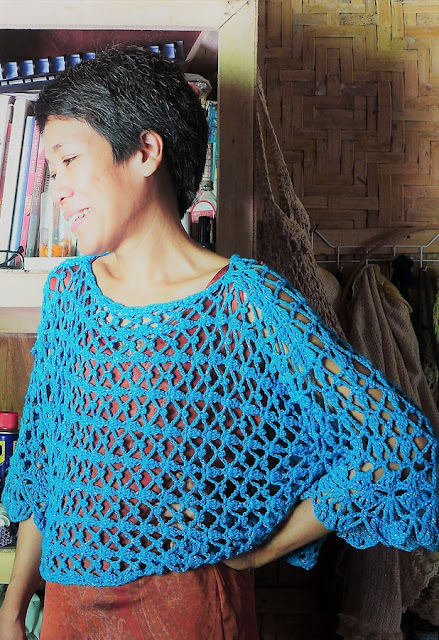 This is a project that was completed in July 2013 and re-posted here. Here is the skirt I finished over a month ago! 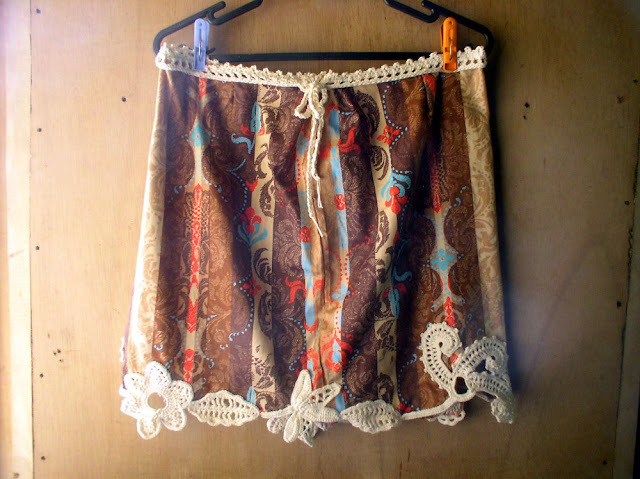 The fabric of this skirt was cut from a pillowcase. 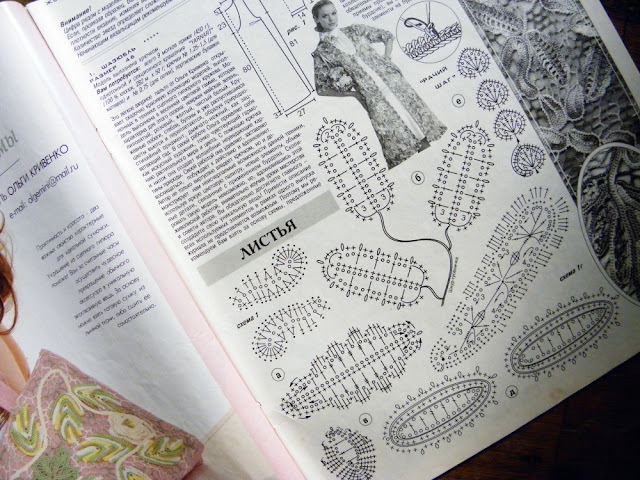 The other half of the fabric I used to make a purse. 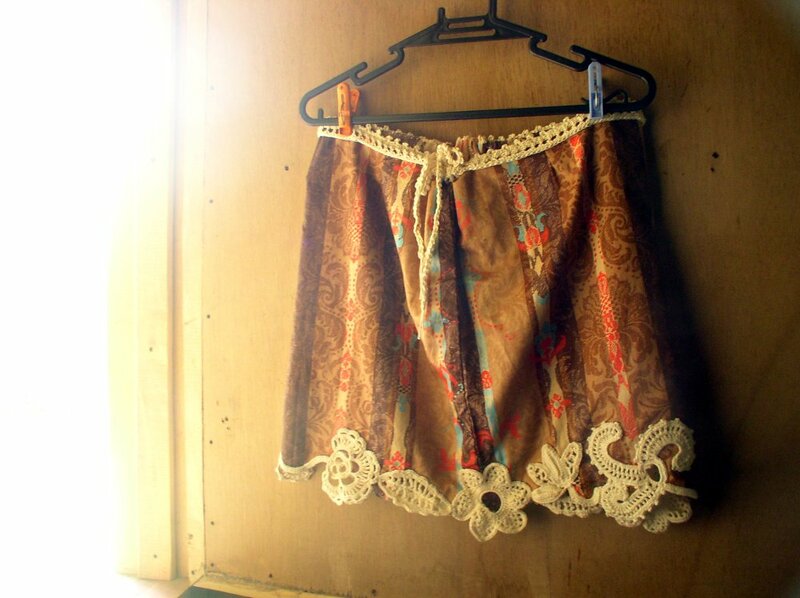 I made the Irish Crochet motifs separately and arranged them on the skirt. After I am happy with the arrangement, I pinned the motif to the fabric then sewed them in place. 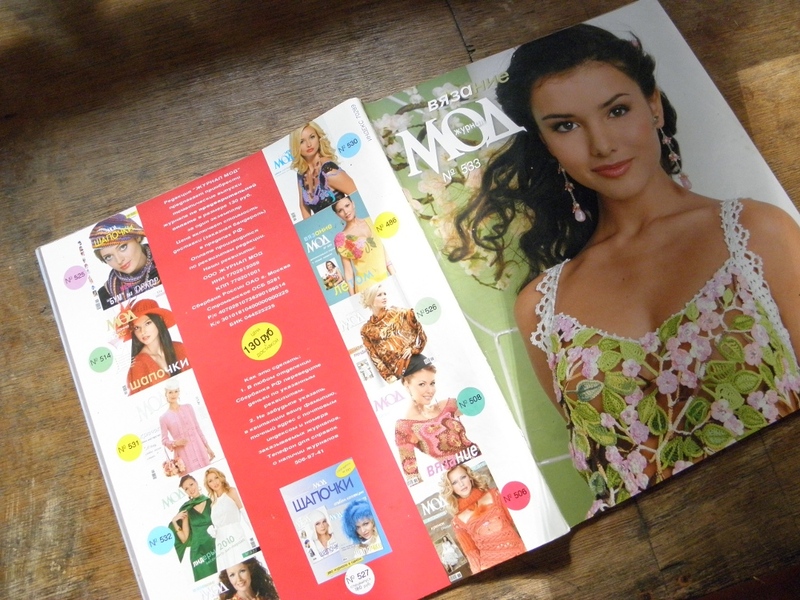 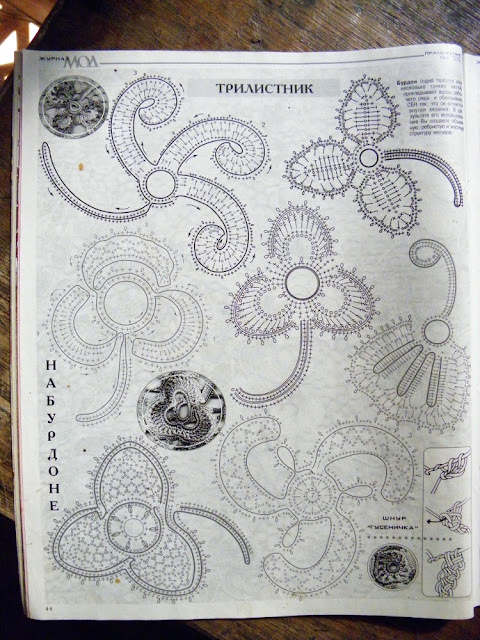 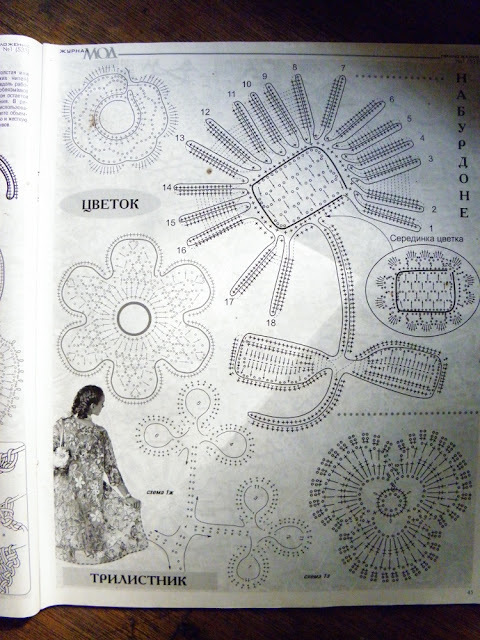 Here also are snapshots from the Russian magazine where the motifs are presented in symbol form. These are snapshots from the pages of Zhurnal MOD 533. 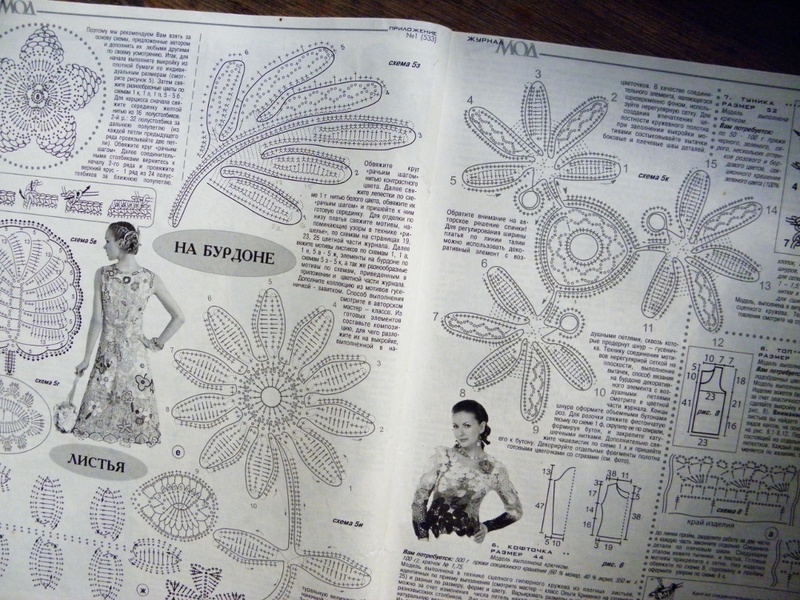 The motifs are made from combinations of various motifs selected from these pages. Choose the ones you like and make your own arrangement!